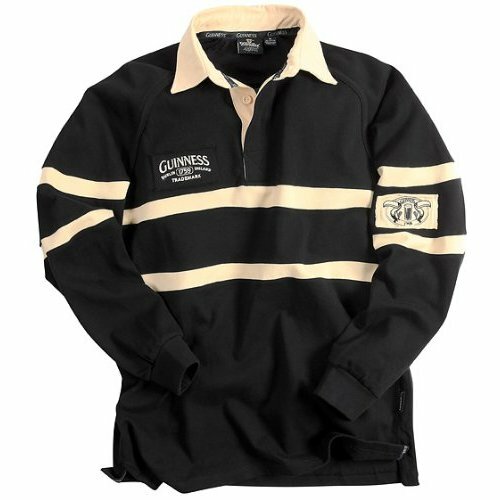 The Guinness® Heritage Charcoal Grey & Black Long-sleeve Rugby is made with a 100% cotton fabric to help achieve that authentic rugby look. The grey and black color of this jersey give it a distinct look. 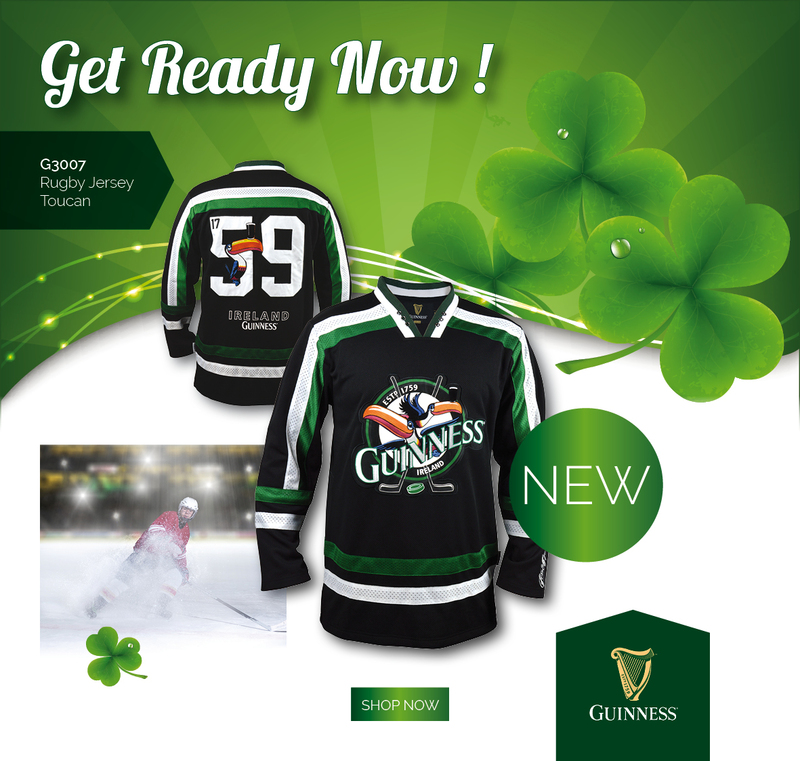 This Jersey features a brown leather patch on the base of the collar which makes this jersey different from other jerseys. On the back just below the collar is a “Dublin 1759 Ireland” Embroidered text which gives it that special touch associated with the famous Guinness® Brand. With soft durable fabric, long sleeves, a single, contrasting white collar and a relaxed fit, this jersey is sure to make you stand out from the crowd, on and off the pitch. Available in Sizes Small to 4X Large Care Instructions: Simply machine wash in cold water with like colors No need to dry clean Air drying preferably Guinness® Official Merchandise: This product celebrates an extraordinary brand, which for over two centuries has been held in great affection around the world. For many, Guinness® has come to symbolize a way of life, always with style, wit, and good humor. This product is intended for purchase and enjoyment by people of legal purchase age for alcoholic beverages.